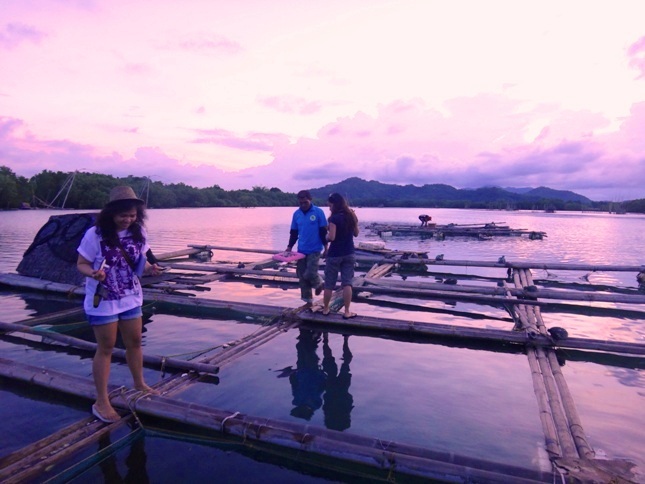 A wide blue-gray river flowing into the horizon, bright green mangroves, and bamboo rafts turning almost golden in the sunlight greeted me and my travel companions as we crossed the bamboo bridge to Palina Greenbelt Ecopark in Roxas, Capiz. And save for a gentle breeze, all was quiet. In fact, we were the only people that afternoon going on a river cruise across Palina River. 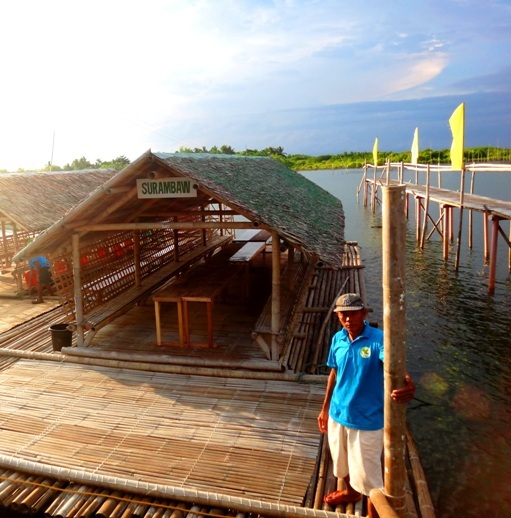 We hopped on a cabana, a bamboo raft with a nipa hut on it, and glided over Palina river for the next two hours. I say “glide” as our cabana was just pulled by a small pumpboat. 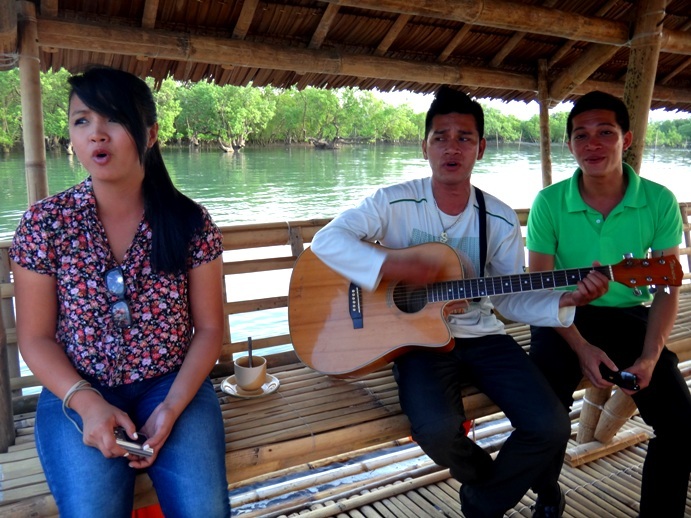 Soft guitar strains and sweet melodies from two Capiz locals serenaded us as our cabana passed by more mangroves, as well as fish ponds and different fishing contraptions. The soft breeze and these locals’ melodies were perfect music for our cruise. While the green mangroves and their equally green reflections were a welcome sight here as in many swamps and rivers, it was the different fishing contraptions, most I have seen for the first time, that struck me as unique. Salvacion, a local and a Palina Greenbelt Ecopark staff, gamely told us about the different fishing equipment we saw along the cruise. Towering and majestic among them was the surambaw. 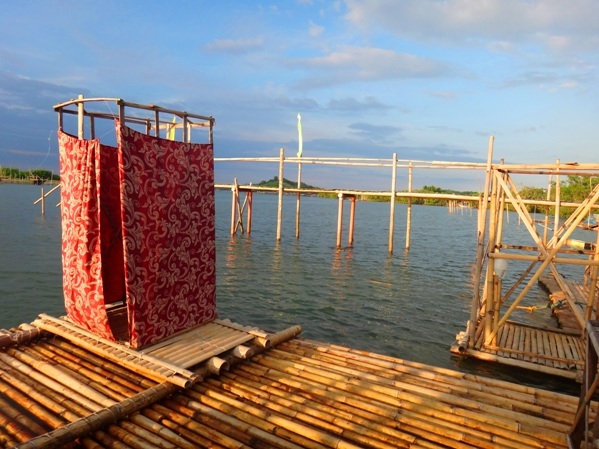 (Coincidentally, one of the cabanas we saw upon entering the ecopark is named “surambaw.”) Made from metal and bamboo, it is designed to catch huge batches of fish, especially at night. 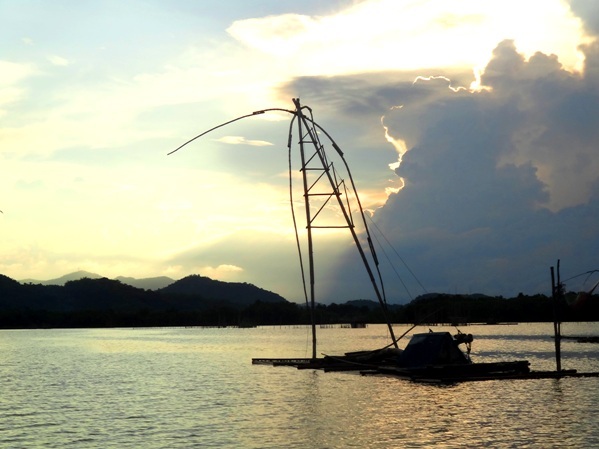 The light from the surambaw attracts fishes to its net. Every 30 minutes or so, the net is hauled with the expectation of a big catch. Salvacion and her family operate a surambaw, and she said catching fish was still a challenge, even with the aid of the light. This cabana has the same name as the largest fishing contraption in Palina. This colorful toilet on our cabana caught my and my companions’ eyes too! 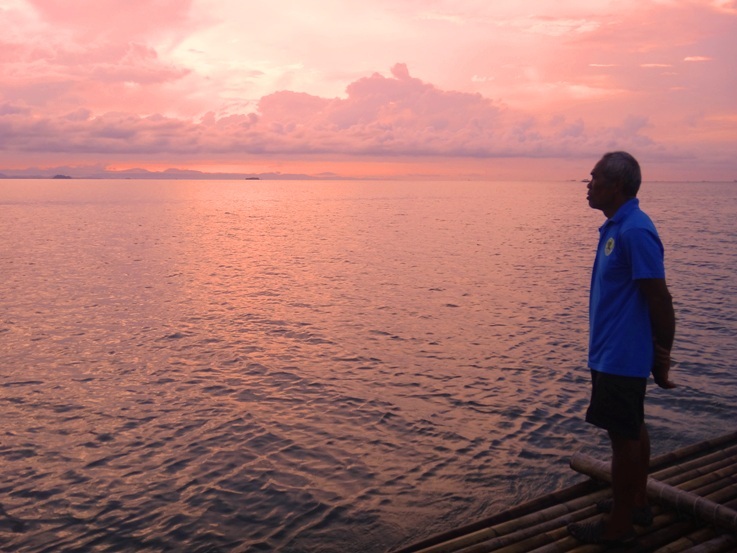 Eventually we found ourselves with only the calm sea in our horizon, before stilt houses and a green hill broke the seemingly continuous open water much later. 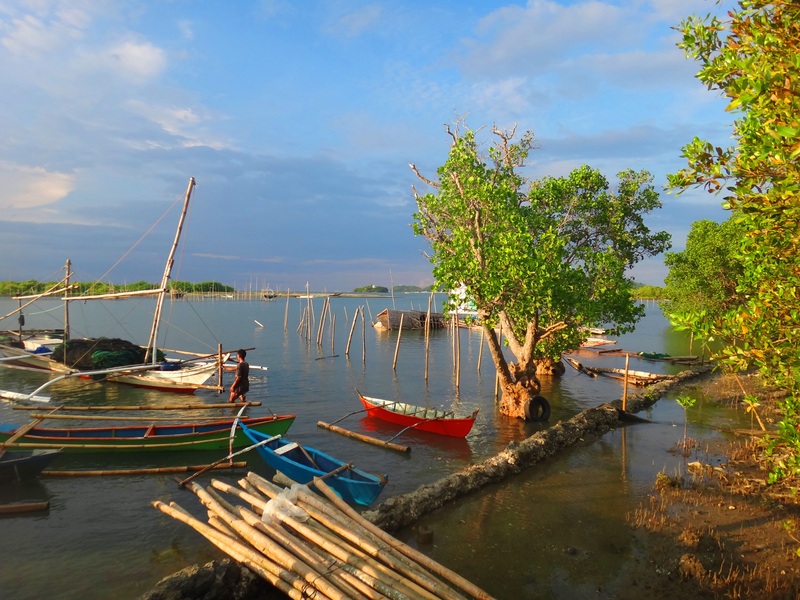 It was one of the fishing communities in Roxas City. Fishing boats with brightly colored roofs were “parked” outside some of the houses. 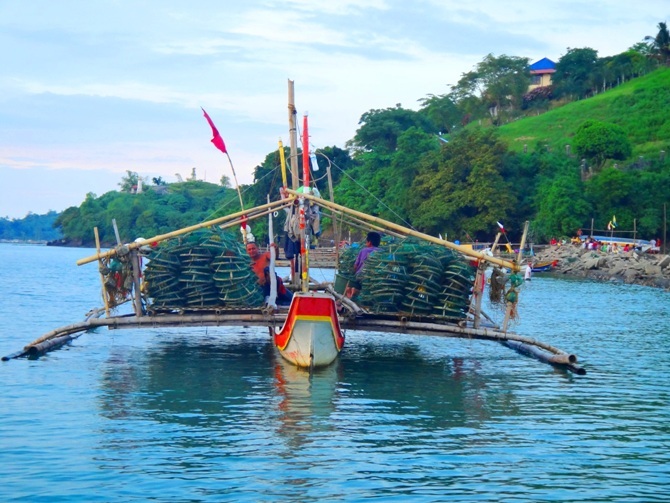 Occasionally, we passed by boats loaded with piles of timing, a cage made of net and wood. Salvacion explained to me that these were used to catch crabs. Timings were left several hours underwater before being retrieved, hopefully with some fresh crabs. As we made our way back to our starting point, the sun began to set, though hidden by clouds. We passed by some fish ponds, laid out in a way similar to rice fields. It was a balancing but fun act walking through the bamboos dividing the ponds. 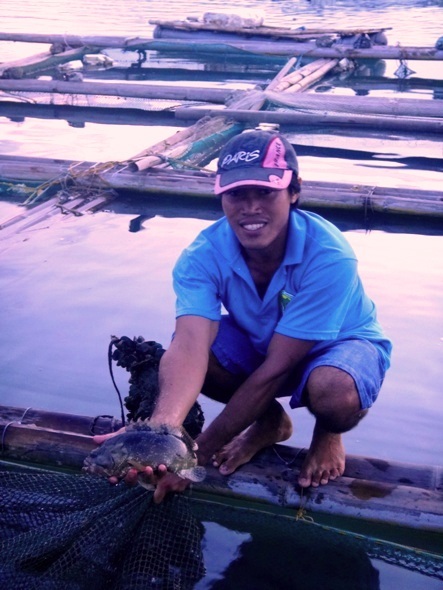 The fishermen proudly showed us their healthily growing fish and shellfish. There were some sights we were not able to see, like the Sunken Galleon, as it was already getting dark then. But the cruise as it was was satisfying and relaxing for me. If there was one word I would use to describe it, it would be “idyllic.” A river we had to ourselves save for some locals, several meters of mangroves, and a glimpse of the life of fisherfolk were what made this cruise the best I had so far. 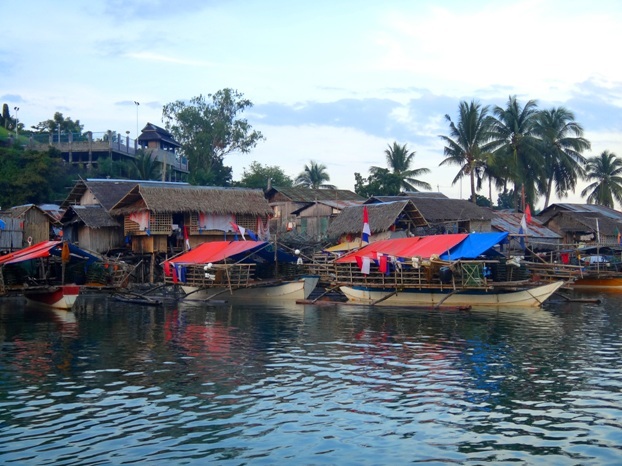 It was a totally different experience from the Loboc River Cruise or the Loay River Cruise in Bohol – while the scenery there was beautiful, the boat ride was quick and anything but quiet. So for people who want a different and definitely relaxing cruise, why not try the Palina River cruise? You can even relax more by getting a foot spa on board! (Php150) If you have more time on your hands, you can even try the other river cruises in Roxas, including the longest one which includes Panay River and its tributaries (Palina is one of them). Below are the rates of the Palina River cruise and their other offerings (click to enlarge). The cheapest way to go around the river is by paddle boat, which can hold four people, at Php20 per person. 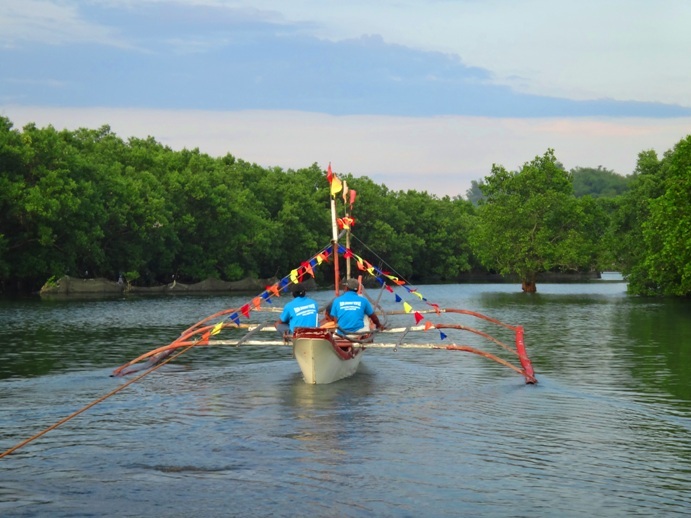 You can even take part in activities like mangrove planting, fishing and shell gathering. Seafood can also be served upon request, but with advanced reservations. Meals usually start at Php100. Get in touch with the numbers listed in the brochure below to make reservation. 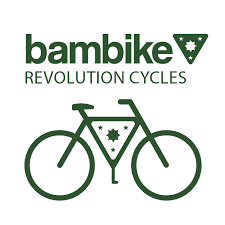 From Roxas City, hire a tricycle to Barangay Cagay, Sitio Cablatan. Fare is usually between Php70-Php100. Pasig River A Future Tourist Attraction? It’s Possible.